Editor’s note: Richard Wike is associate director of the Pew Research Center’s Global Attitudes Project. The views expressed are his own. You can follow him @RichardWike. 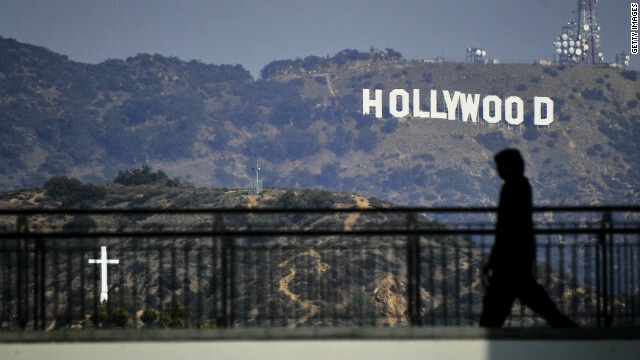 For decades, Hollywood has been a big part of brand America, and U.S. movies continue to break box office records around the world. Over the past year, blockbusters like The Avengers and The Dark Knight Rises have earned over half a billion dollars outside the United States. And this weekend, according to the Academy of Motion Picture Arts and Sciences, viewers in more than 225 countries will tune into the Oscars. Surveys consistently show that movies – and more broadly, American popular culture – are a strong suit of U.S. soft power. And, while studio executives spend considerably more time thinking about box office returns than public diplomacy, Tinseltown is actually pretty effective at nudging America’s international image in a positive direction. (Certainly, with anti-Americanism still strong in the Middle East and among some other nations, brand America needs all the help it can get). American culture is especially attractive in Europe. The continent may have a long tradition of intellectuals deriding U.S. culture, but average Europeans embrace it. A 2012 Pew Research Center poll found solid majorities in all eight European Union nations surveyed saying they like American movies, music, and television, including 72 percent in France, home to the Cannes Film Festival, Jean-Luc Godard, and (until recently) Gérard Depardieu. As is the case with nearly all things American, U.S. pop culture is more popular among Europeans in the Obama era than it was during George W. Bush’s presidency, although even during the Bush years, when European anti-Americanism was surging, most still had a favorable opinion of American entertainment. And it’s not just Europe – about seven-in-ten of those surveyed in Japan, Brazil, and Mexico, for example, say they enjoy U.S. movies, music, and television. In nearly all countries included in the survey, America’s pop culture is especially attractive to young people. For instance, a stunning 94 percent of Germans under age 30 like it, while just 47 percent of those 50 and older agreed. Huge age gaps are also found in Russia, France, Britain and elsewhere. In many nations, there is also an education gap. In China, where a growing middle class increasingly has yuan to spend on entertainment, 74 percent of people with a college degree enjoy American pop culture, compared with less than half of those with less education. It’s true that Hollywood isn’t popular everywhere. In particular, it has limited appeal in some predominantly Muslim nations. Among 20 countries surveyed by Pew Research, the only four where majorities said they do not like American movies, music, and TV were Pakistan, Turkey, Egypt, and Jordan. Views about culture are intertwined with other aspects of America’s image, and in countries like these, widespread opposition to U.S. policies and deep distrust of American motives continues to drive strong anti-American sentiments. But the Muslim world is not monolithic, and attitudes toward American culture vary among Muslim populations. Six-in-ten Lebanese Sunni Muslims express a positive opinion, as do almost half of the country’s Shia Muslims – a fairly impressive number, given the fact that, when asked about their overall opinion of the U.S., only 7 percent of Lebanese Shia offer a positive response. Meanwhile, about eight-in-ten Lebanese Christians like American pop culture. Of course, even in countries where the U.S. and its entertainment exports are generally popular, many still voice reservations about the reach of American culture. Japan was the only nation among the 20 polled where a majority (58 percent) said it is good that American customs and ideas are spreading to their country. In contrast, less than a third in Britain, France, Spain, Germany, the Czech Republic, and Greece described the spread of U.S. ideas and customs as a good thing. In Egypt, Jordan, Turkey and Pakistan the numbers were even lower. The reality is that resistance to American culture often goes hand in hand with a strong attraction to it. French sheep farmer José Bové may have become a hero to the anti-globalization movement by famously helping ransack a McDonald’s in 1999, but it hasn’t stopped the proliferation of golden arches in Europe or elsewhere. Similarly, the international demand for American films is growing, and Hollywood’s profits are increasingly driven by the foreign box office. All this means that when the red carpet is rolled out on Sunday, concerns about the ubiquity of American culture won’t stop millions across the globe from tuning in to see who wins Best Picture.